You can choose between 4 header types, change typography, toggle shop and blog settings and create unique page layouts with Visual Composer premium plugin, which comes free with this theme. Slider revolution its also included as a free component for the theme and you can create great presentations for your shop. 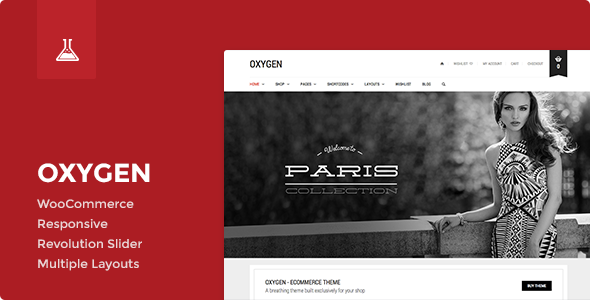 Item Reviewed: Oxygen WooCommerce WordPress Theme 9 out of 10 based on 10 ratings. 9 user reviews.